Oracle Digital Assistant provides the platform and tools to easily build AI-powered assistants that connect to your backend applications. A digital assistant uses artificial intelligence for natural language processing and understanding, to automate engagements with conversational interfaces that respond instantly, improve user satisfaction, and increase business efficiencies. 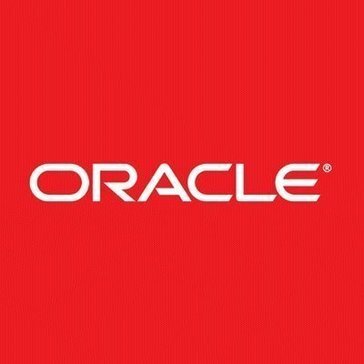 Work for Oracle Digital Assistant Cloud? Learning about Oracle Digital Assistant Cloud? "Oracle makes it easy "
What Bot Platforms solution do you use? Alexa lets people use their voice to interact with technology so they can spontaneously ask questions in a way that feels natural. Alexa for Business gives you the tools you need to manage Alexa-enabled devices, enroll your users, and assign skills at scale. TARS is a platform that allows users to create chatbots with no programming knowledge needed. With Chatfuel you create chatbots to engage with your audience on messengers. ChatBot is a bot framework for AI chat bot, designed to allow users to create a chatbot for any web service: LiveChat, Facebook Messenger, Slack, Kik, etc. SLINGR is a CRM software for Slack Teams love that integrate with Google Contacts and Calendar, it track projects, notes and follow up items without leaving chat. Dialogflow is a conversational user experience platform enabling brand-unique, natural language interactions for bots, devices, applications and services. Collect chat is an interactive chatbot that collects data from website visitors. Flowxo allows you to build, host & manage bots in one platform. Conversation.one is an omni-channel platform designed to build conversational apps in minutes. * We monitor all Oracle Digital Assistant Cloud reviews to prevent fraudulent reviews and keep review quality high. We do not post reviews by company employees or direct competitors. Validated reviews require the user to submit a screenshot of the product containing their user ID, in order to verify a user is an actual user of the product. Hi there! Are you looking to implement a solution like Oracle Digital Assistant Cloud?